Courtesy of Epicurious CSA Information Meat Shares are available in 2 sizes for three, six and twelve month periods. Share sizes are based on pounds per month. Payment is due in full by the start of the subscription. Monthly pick ups at our farm in Norwich from 3-6pm the first Thursday of each month. Monthly shares are pre-assembled by our farm and will include approximately half ground and sausage and half higher-end cuts such as roasts and chops in frozen vacuum sealed packages. 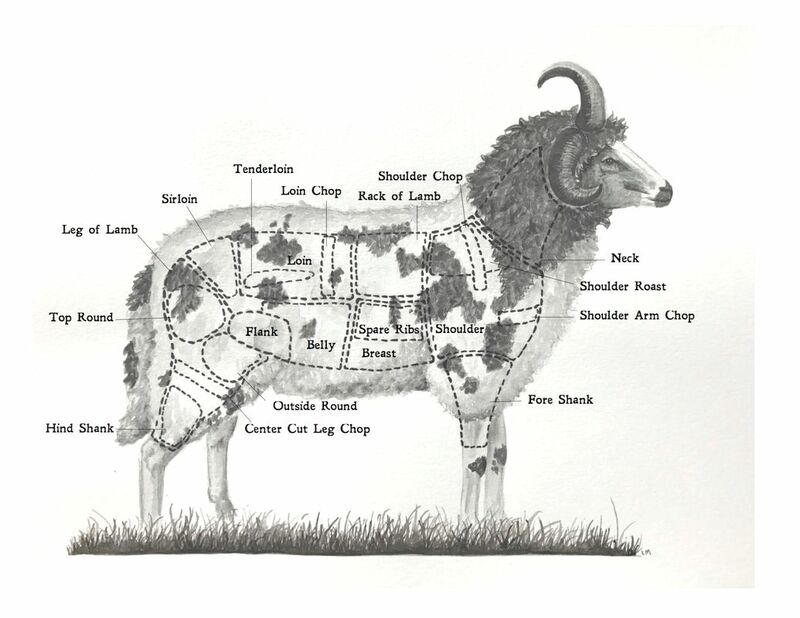 The meats included in the share reflect what is available on the farm that particular month and cannot be customized. Subscriptions also include a canvas tote and a monthly newsletter with farm. Ingredients 1/3 cup chopped fresh mint 2 teaspoons paprika 3/4 teaspoon ground cinnamon 1/2 teaspoon salt 3 tablespoons olive oil, divided 1 pound ground lamb 4 hamburger buns or small ciabatta rolls 1 1/2 cups baby spinach leaves 1 1/3 cups crumbled feta cheese 4 1/4-inch-thick red onion slices 1 1/2 teaspoons balsamic vinegar Directions Mix first 4 ingredients and 1 1/2 tablespoons oil in medium bowl; mix in lamb. Shape into four 3/4-inchthick patties. Cook patties in large nonstick skillet over medium-high heat 4 minutes per side for medium. Meanwhile, preheat broiler. Broil buns until golden, about 2 minutes. Top each bun bottom with burger. Toss spinach, feta, onion, vinegar, and 11/2 tablespoons oil in bowl. Place salad atop burgers. Cover with bun tops, pressing firmly to compact.